Tom Cruise, doing what he does best. Tom Cruise has a penchant for wild stunts. Now, he’s worked them into the press tour. 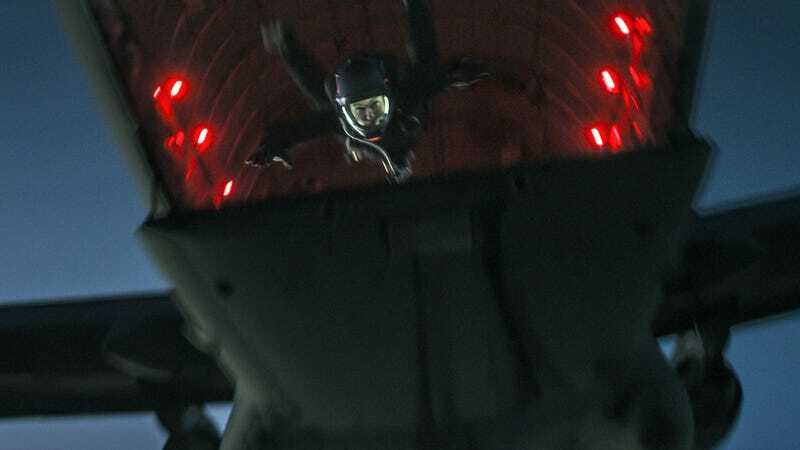 Mission: Impossible has enjoyed a franchise resurgence on the back of two things—slick, fun direction and set pieces, and Tom Cruise’s panache for putting himself into danger. As frequent readers will know, I’m a huge fan of both. So it’s a lot of fun for me to see Cruise share his passion for death defiance with the world.